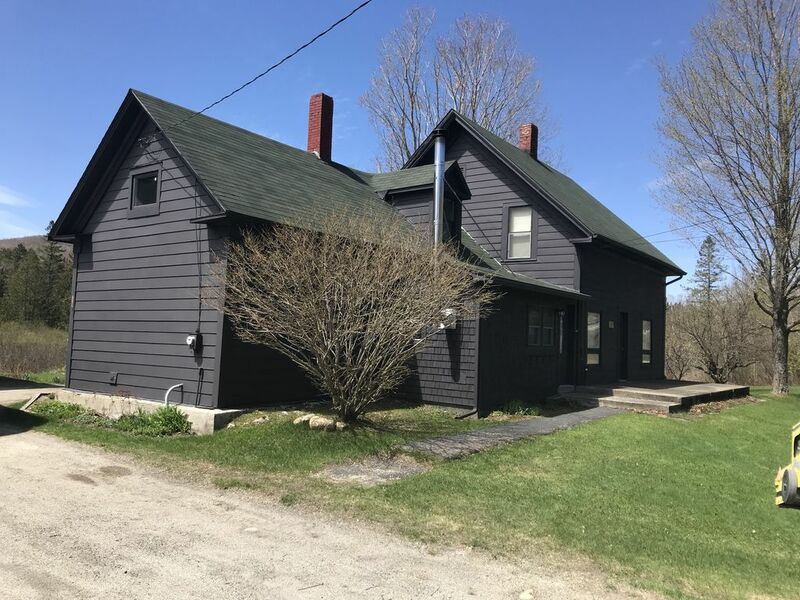 Vermont getaway-your home away from home! Cozy home situated on a little over an acre of property. Plenty of room for two families to spend vacation. 4 bedrooms, 2 baths-second bath has a jacuzzi tub (no shower). Great backyard with fire pit and grill—perfect for a relaxing evening in beautiful Island Pond. Close to some of the best snowmobile and ATV trails in the country! Located less than a mile from the center of this quaint town and the water. Fish, kayak, or just relax on the public beach within minutes. House is equipped with all you need, including linens. Perfect getaway, just bring your clothes and come prepared to relax in this small slice of heaven called Island Pond! We came to island Pond for snowmobile trails and fell in love with this great place! Come visit and see why we love it so much! Linens for all beds and extra sheets and blankets in closet upstairs if needed. Washer and dryer available. Laundry detergent there as well. Cable available on both TVs. 100s of channels. Near snowmobile and ATV trails. Within one hour of three different ski mountains. Close to ATV and snowmobile trails!